Looking to gain a reputation as a business that cares about the environment? Skeptical of the cost-effectiveness of some environmental measures but willing to be convinced? In the modern world, “going green” has become a buzzword for businesses that can imply everything from replacing fluorescent lights with LEDs to performing entire operation retrofits. At first glance, it might seem difficult for businesses, especially those on the smaller side, to justify making changes solely in the name of sustainability. But a deeper look proves that short-term costs associated with installing more energy efficient devices or determining energy drains in a building can lead to enormous long-term savings and improvements in community perception of your company. Improved brand image and increased competitive advantage Modern consumers are increasingly concerned with getting not only the best price, but also the most sustainable product. Words like “free-range,” “cruelty-free,” “organic,” “sustainably-sourced,” and “fair trade certified” are consistently at the top of what buyers, especially younger generations, look for when spending their money. The mentality is shifting to one that prioritizes a good product that doesn’t come at the expense of the environment or of workers. If you can show customers that your company is dedicated to sustainability and environmental preservation, it can give you a leg up on the competition. Increased productivity and reduced costs Simple fixes like replacing your lighting systems with LEDs or installing ductless heating/air conditioning systems are low-cost solutions that can dramatically improve employee productivity while saving on electricity, gas, and water. No longer will workers have to squint in harsh or dim lighting, and people who aren’t constantly shivering in drafts from poorly sealed vents will be happier and more productive. Get a jump on federal and state regulation compliance Sometimes, you don’t get a choice about when to go green. Federal and state regulations mandating more energy efficient devices or water-saving appliances are becoming more and more common, and it can only help your company to get to work complying with them early. Sometimes you can even use government grants to offset the costs of your improvements. Going above and beyond the baseline requirements for sustainability also decreases costs in the long-term, as you won’t have to pay to modernize your company every time government requirements become more stringent. Attract employees and investors Just as consumers have become more attuned to the environmental cache of the companies they buy from, so have workers become more selective of the companies where they choose to apply for jobs. Nowadays, employees often expect their company to be doing its part to protect our fragile environment, and they will be more likely to stay with and feel fulfilled in their jobs if they know their company is putting in the effort of operating sustainably. Similarly, investors understand that the push to become more “green” often results in happier employees, customers, and communities. Shareholders will be happy to see your company putting in the effort to operate in a lower-cost, sustainable manner. Reduce waste Think about it–when you aren’t operating a company in the most energy- and water-efficient ways, you’re essentially throwing money down the drain year after year. Making small changes now can result in huge savings down the road, and it pays to do a thorough audit of your operation and find all the ways you’re currently wasting time, energy, water, and money. Whether it’s implementing a recycling program or switching to low-flush toilets, reducing company waste can only improve your bottom line. Make sure your green initiatives are actually cost-effective (the shorter the payback time, the better) It can sometimes be depressing to realize that your company won’t change unless “green” measures quickly and noticeably affect the bottom line. But it pays to spend a few days mapping out energy payback times and plainly laying out the economics of an action like a lighting upgrade or an energy audit to make sure you’re stressing the aspect that will be most important to managers. Learn from blue collar workers Often, if you’re not on the ground performing the basic tasks that keep a business running, it can be hard to understand why blue collar workers might be slow to change. For example, switching from diesel buses to electric buses can cause concern among workers who are worried that their unfamiliarity with the electric engines could lead to service delays or expensive maintenance training. If you yourself are a blue collar worker and notice there’s a simple change that could be made to reduce the energy wasted by your business, bringing up the idea with other employees could lead to systematic change within the company. Find a strong advocate in a leadership position When suggesting potentially controversial environmental measures (such as waterless urinals), it always helps to have an advocate in upper leadership. Do some research and see who you think would be most receptive to your suggestions, and set up an informal meeting with them to chat about your ideas. Sometimes, if any sustainability measures must go through a manager who is completely unwilling to change, you might have to accept that your best bet is to wait them out. 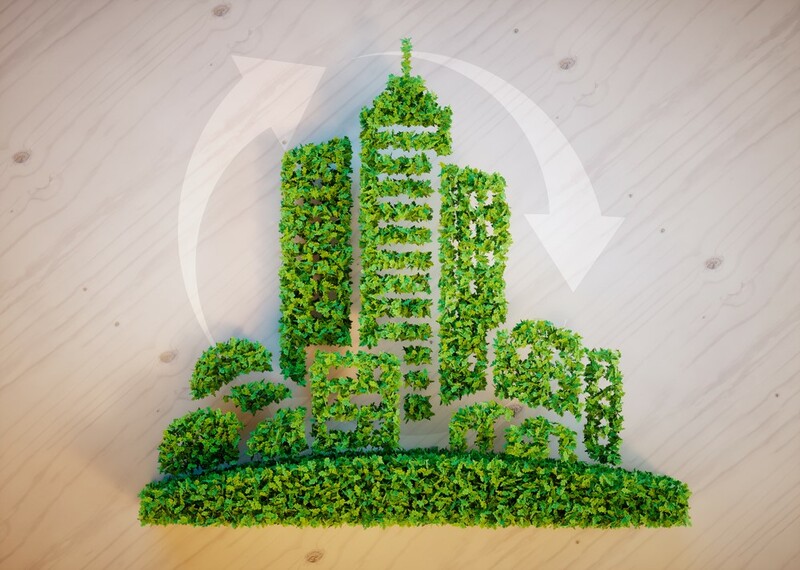 Make sustainability sustainable Every company goes through ups and downs, and when times get tough it’s often supposedly “inessential” sustainability departments that are the first to get cut. Try to avoid this by making sustainability departments consistently profitable. If sustainable measures are saving the company money every quarter, or measurably improving morale, they will become essential to company operations and won’t be the first thing on the chopping block.